The information listed below is recommended for enhancing knowledge about America's consumer credit system as well as general guidance in managing one's personal finances. In some cases, there is a commercial benefit that is received by Newtonian Finances, Ltd for the purchase of materials/services of a partner. However, recommended partners have been selected based on the quality of their products/services/information and not due to any potential pecuniary benefit to the company. For specific personal finance questions, you should consult with a legal and/or financial services professional. CareerBuilder.com is one of the nation's leading websites for students and more experienced workers for seeking new employment to improve their career prospects. CareerBuilder.com offers helpful advice for developing an effective resume, interviewing for a job, comparing employee salaries in different cities, assistance in finding a job (paid "head hunter" services), and access enormous number of job listings. Citizens for Fair Credit Card Terms, Inc. (CFCCT) was founded by Curtis Arnold, a nationally recognized consumer advocate, in response to a growing national backlash against credit card debt. The award-winning website, CardRatings.com, is designed to fight credit card debt by providing consumers with impartial evaluations of bank issued credit cards. It features two searchable databases with approximately 1,100 credit card descriptions as well as over 19,000 reviews submitted by consumers throughout the country. Disclosing such information often helps consumers find more attractive credit card terms and thus helps them lower their credit card debt. In addition, the site recognizes credit card issuers that have highly rated cards by creating a "Top Rated Card" award graphic. Public Interest Research Groups (PIRG) are a network of independent, state-based, citizen-funded organizations that advocate for the public interest. Since 1970, they have been delivering results-oriented citizen activism to protect our environment, encourage a fair and sustainable economy, and foster a responsive democratic government. There campaign for responsible lending includes an excellent website for consumer credit-related issues. Electronic Privacy Information Center is a public interest research center in Washington, D.C. It was established in 1994 to focus public attention on emerging civil liberties issues and to protect privacy, the First Amendment, and constitutional values. EPIC publishes an award-winning e-mail and online newsletter on civil liberties in the information age - the EPIC Alert. It also publishes reports and books about privacy, open government, free speech, and other topics related to civil liberties. EPIC does not have clients, customers, or shareholders. It needs your support. The Privacy Rights Clearinghouse was established in San Diego, California in 1992 to raise consumers' awareness of how technology affects personal privacy. Its goals include empowering consumers to take action to control their own personal information by providing practical advise as well as to advocate for consumers' privacy rights in local, state, and federal public policy forums, including legislative testimony, regulatory agency hearings, task forces, and commission. Privacy Times, Inc monitors the legislation, court rulings, industry developments and horror stories that frame the ongoing debate about information privacy. Its editor, Evan Hendricks, covers such issues as the FTC's developing policy for the Internet, credit reports, Caller ID, medical records, "identity theft," the Freedom of Information Act, direct marketing, and the European Union's Directive On Data Protection. Public Interest Research Groups (PIRG) are a network of independent, state-based, citizen-funded organizations that advocate for the public interest. Since 1970, they have been delivering results-oriented citizen activism to protect our environment, encourage a fair and sustainable economy, and foster a responsive democratic government. The PIRGs campaign for responsible lending practices include fighting for government regulations against identity fraud. U.S. Federal Trade Commission (FTC) was created in 1914 to prevent unfair methods of competition in commerce as part of the battle to "bust the trusts." In 1938, Congress passed the Wheeler-Lea Amendment, which included a broad prohibition against "unfair and deceptive acts or practices" such as marketing of credit cards. Today, the FTC's work is performed by the Bureaus of Consumer Protection and Competition and Economics. The FTC is also responsible for assisting consumers that are victims of identity theft. If you believe that you are a victim of identity theft, you can file an affidavit and submit to the FTC here. All Your Worth : The Ultimate Lifetime Money Plan (Free Press, 2005) by Elizabeth Warren, the nation's leading bankruptcy scholar at Harvard University's School of Law and her daughter Amelia Warren Tyagi. This excellent personal finance book is a plea by their admirers to provide personal financial advise for coping with the economic plight of middle class families. Professor Warren's website is here and her blog is here. The Motley Fool Money Guide (Motley Fool, 2001) by Selena Maranjian. This longtime "Fool" writer provides clear and practical advise for debt management as well as wealth building strategies. Ultimate Credit Solutions Inc., President Gerri Detweiler has been helping Americans find solutions to their credit problems for more than a decade. She is the author of The Ultimate Credit Handbook (2003) and co-author of Slash Your Debt: Save Money & Secure Your Future (1999). Gerri currently hosts a live weekly Internet radio program. Credit Abuse Resistance Education Program (C.A.R.E. ), founded by Chief Bankruptcy Court Judge John C. Ninfo, Rochester, New York. This program offers "live" presentations by bankruptcy practitioners on the importance of personal finance skills and the dangers of consumer debt in over 20 states. It offers a wealth of information for teachers to stimulate class discussions or to help students develop prudent spending/budgeting/lifestyles. 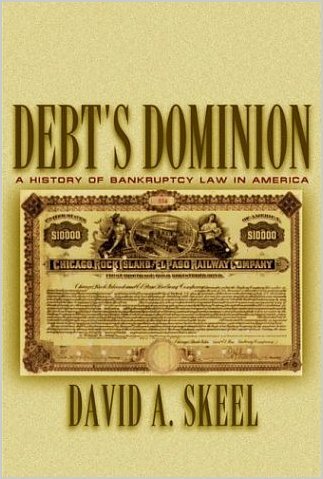 Debt's Dominion : A History of Bankruptcy Law in America (Princeton University Press, 2003) by David A. Skeel, Jr.
Financing The American Dream: A Cultural History of Consumer Credit by Lendol Calder (Princeton, 2001) is a well written and assiduously documented early history of America's use and growing dependence on consumer credit. Professor Calder offers instructive insights into the social construction of "good v bad" debt and the importance of institutional lending (e.g., Ford auto financing) in reducing industrial production surpluses. However, the author attempts to "stretch" his earlier historical findings to the present which belies the profound changes in lending and borrowing trends that have arisen during the deregulation of the U.S. banking industry since the 1980s. 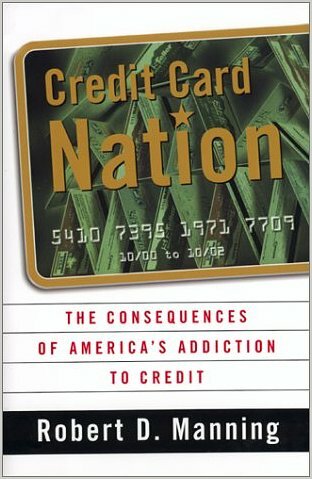 Credit Card Nation: The Consequences of Americans' Addiction to Credit (Basic Books, 2000) by Robert D. Manning. 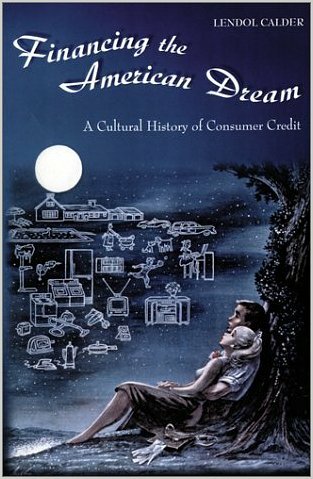 This book examines the role of consumer credit and debt in the increasing economic inequality of American society and the credit card industry's influential marketing campaigns that have profoundly changed cultural attitudes during this tumultuous period of banking deregulation and globalization. The author's early work on marketing credit cards to college students galvanized public interest and Congressional inquiry in this topic. 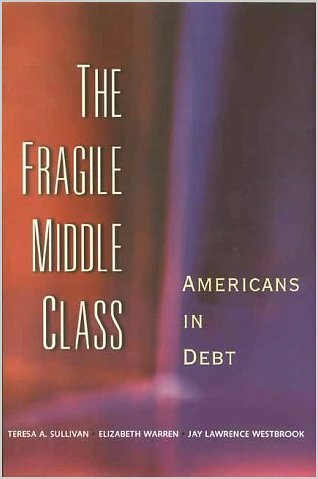 The Fragile Middle Class: Americans in Debt by Teresa A. Sullivan, Elizabeth Warren, and Jay Westbrook (Yale University Press, 2001) is a highly influential sequel to the authors' prior award winning book, As We Forgive Our Debtors: Bankruptcy and Consumer Credit in America (Oxford University Press, 1989). 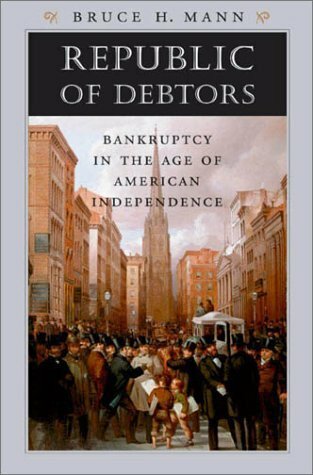 This book is based on the authors' carefully conducted studies on personal bankruptcy in states specifically selected due to their different statutory requirements. The authors are especially cognizant of gender and racial differences in bankruptcy outcomes while highlighting that most filers are in financial distress for factors largely outside of their control such as job loss, medical expenses, and family crises such as divorce. 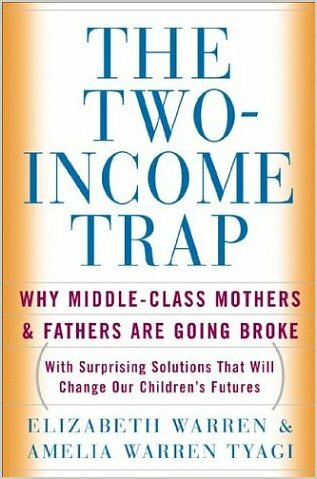 The Two-Income Trap: Why Middle-Class Mothers and Fathers Are Going Broke (Basic Books, 2001) by Elizabeth Warren and Amelia Warren Tyagi. This carefully researched book examines changes in household spending patterns over the last 30 years and asserts that Americans are struggling with paying for soaring household expenses rather than succumbing to indolent desires. See Professor Warren's numerous articles on this topic.